Carton Boat - Test your creativity! 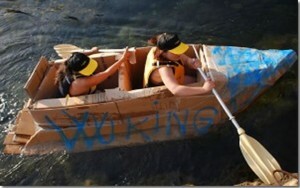 Test you cleverness with a day of carton boat team building. You’ll have fun with your team while assembling a boat using only cardboard, bubble wrap and a few other everyday office supplies. 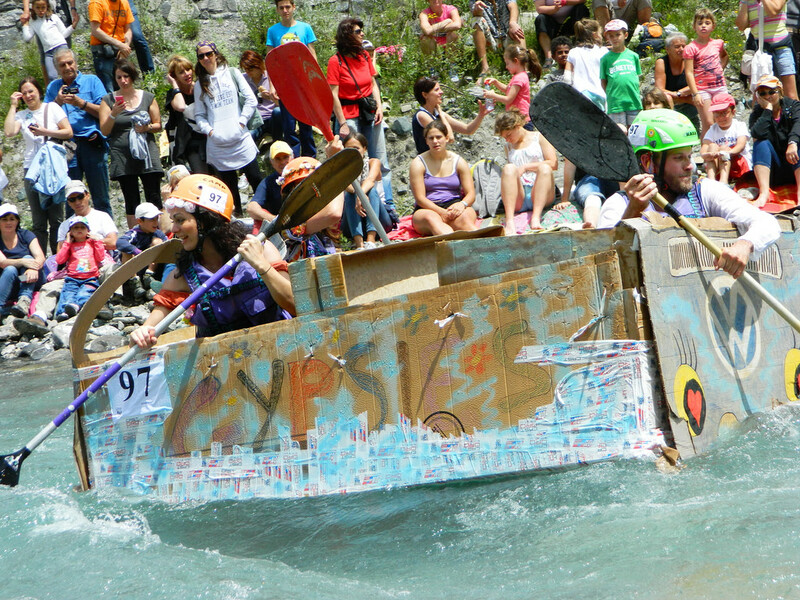 Once it’s suitably decorated with a team logo, you can find out how seaworthy it is in an edge of the seat paddle to the finish line. Taking place in a picturesque riverside setting, this event will challenge everyone to work together, play to their strengths and think outside the box … literally. Who has an eye for design? Who’s good with their hands? Who isn’t afraid of getting their feet wet? Exciting and hilarious, our carton boat team building activity is sure to be one of the highlights of your experience package. It’s a great way to bond, let down your hair and work up your appetite for some tasty local food and drink in this historic part of central Italy. Plus, you’ll learn a lot about your colleagues as you see who steps up and helps to steer your team to the victory.